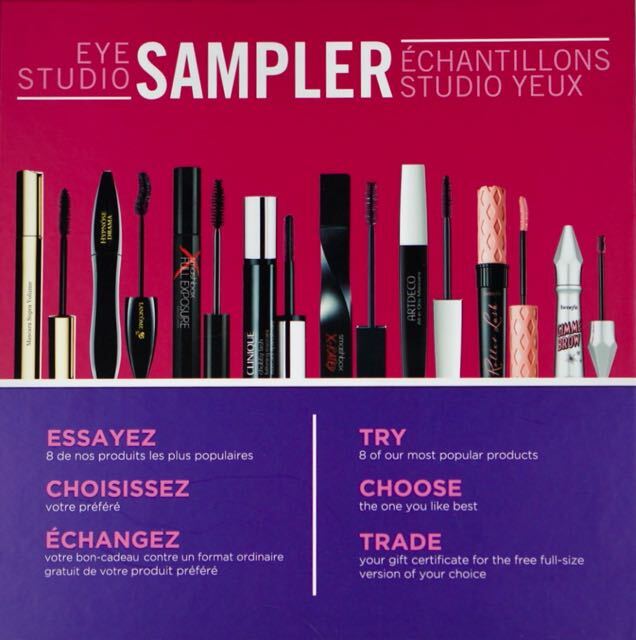 SDM - Eye Studio Sampler Finale! I finally finished trying out all 8 products in the SDM Eye Studio Sampler I picked up during a Black Friday SDM Bonus Redemption weekend in 2016...if you'd like to see what all was picked up during that time you can check it out here. 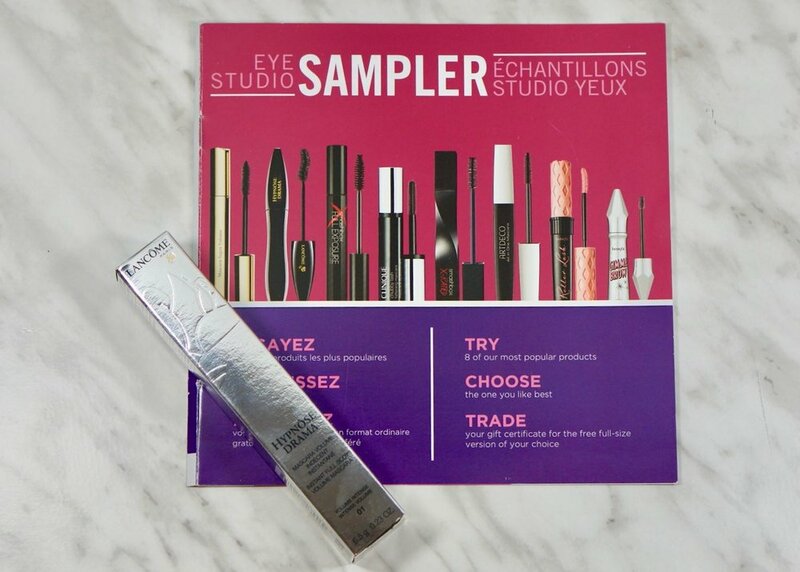 If you aren't aware of these Sampler Sets they are a roundup of deluxe size sample products, mascara/perfume, that come as a set and sometimes you can try them out and there is a coupon to redeem for a full size of your favorite one in the set. 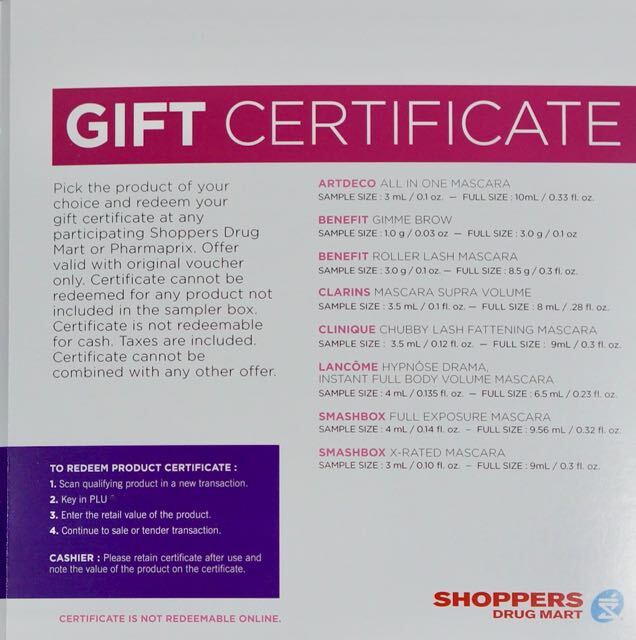 The SDM Eye Studio Sampler set contained 7 deluxe size mascaras plus a Benefit-Gimme Brow. When I saw this set I was originally going to let my daughter pick one out, but I ended up picking her up a different one so that left the coupon for me! Looking at the products included in the box I already knew that I liked Benefit-Roller Lash and Gimme Brow, so I knew there was gong to be a product I would get in a full size. Here is how the mascaras rated for me along with link to the reviews I posted about them. If you had read my reviews all the mascaras, thank you!, than you may have guessed which one I was going to pick up! That is of course as long as the coupon didn't expire. Lucky for me the coupon didn't have an expire date, or least it didn't expire in the year and a half it took me to pick one! I went into my local SDM and asked if the coupon was still good and the associate said of course it was! She asked which mascara I was wanting and I asked for the Lancome-Hypnose Drama. This mascara just worked well for me, no smudging/easy to remove/held a curl. It was a toss up between this and Benefit-Roller Lash. I decided on this one as I still have another Roller Lash Deluxe sample, as well as the fact that Roller Lash is often given in Sephora goodie bags! I didn't realize until I was typing up this post that the mascara I picked was the most expensive one to purchase out of the selection. I purposely didn't look up the mascaras on any websites so that my judgement wouldn't be clouded by cost or others thoughts. I am still using my deluxe sample of this one, and will continue to until its gone! It will probably be quite a while before I crack into this full sized tube, still a back log of mascaras in my drawer! Have you ever picked up a sampler box and forgotten about it? Were you lucky enough to still be able to redeem for a full size? Or did yours have an expire date?